Bruna was born and raised in Brazil. She has a masters degree in International affairs from the Superior School of Marketing and Communication and has a Bachelor’s degree in Social Science with a focus on Brazilian culture from Foundation School of Sociology and Politics. 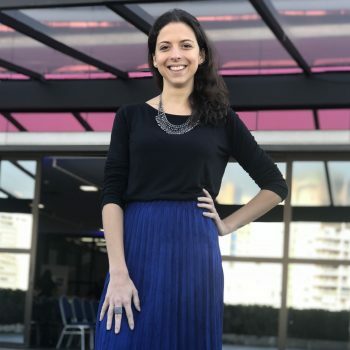 After a volunteer experience working with orphans in Ukraine, she started volunteering also in Brazil for initiatives focusing on sustainability, urban mobility and health habits in school children. As a coach, pranic healer, and yoga teacher she is passionate about human development and self-knowledge. She believes that is possible to do things differently to build a better world and that this only happens from the inside out. Bruna loves to dance.